Some news from next Trasformatorio organization team. 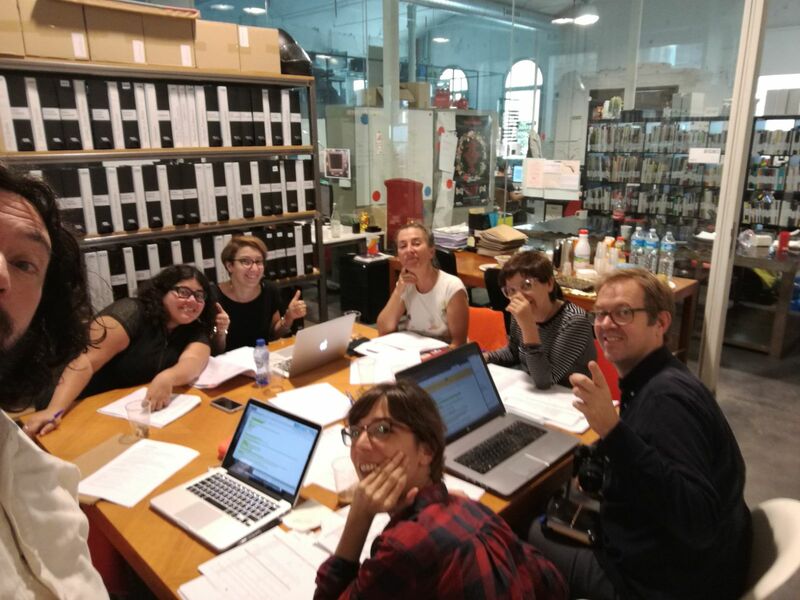 Last week in Barcelona, in the premises of Hangar.org we participated in the first meeting of the EU-project “ITERATIONS”, with a delegation of trasformatorio. A delegation was (mis)guided by your beloved Federico Bonelli straight from dyne headquarters; other participants were Irene Dominguez traveling from Trondheim, Giuseppe Morgana and Emanuela Ravida’ from Sicily. To construct a common language and to evolve on it our capacities and potentials, with no expectations but curiosity. Naia (from ESC) was also very much interested to radical pedagogies in collaborative ways.